Wendell Caroll Atkinson Sr., 76, of Hendersonville, TN, passed away on Friday, October 25, 2013. He was born to the late John and Edna Atkinson, on March 3, 1937, in Russellville, Ky. 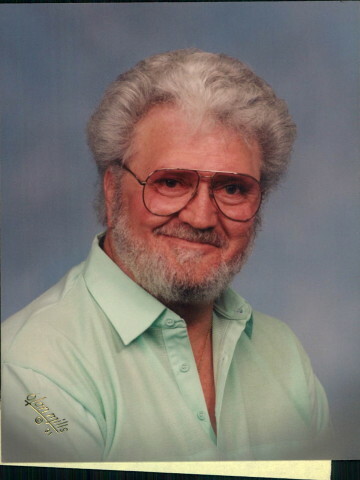 He is survived by his wife of 37 years, Janice Atkinson; siblings Willard Atkinson and Guyla Tomlinson; children, Annette White, Kathy Moles, Ricky Atkinson, Timothy Atkinson, Tommy Atkinson, and Wendell Atkinson Jr; seventeen grandchildren, thirteen great grandchildren, and four great, great grandchildren. He was preceded in death by his son, John Lee Atkinson. A visitation will be held at Hendersonville funeral home on Monday, October 28, 2013 between the hours of 4pm and 8 pm. A funeral ceremony will be conducted at First Baptist Church of Hendersonville on Tuesday, October 29, 2013 at 11 am, with visitation 1 hour prior. Interment will follow the ceremony in Hendersonville Memory Gardens. we spent a lot of time together in our youth. rest in pease cousin. May your memories give you peace and comfort. “God is our refuge and strength, a help that is readily found in times of distress.” (Psalms 46:1) May the love of family and friends help carry you through your grief. I read with sadness of your loss. Please know you have my deepest condolences. May the sadness that you feel be comforted by your many cherished memories and the warmth of family and friends. Please remember that you can always lean on your Heavenly Father for support. He is a comforter of all those who mourn. In His Word the Bible, He tells us to throw all our anxiety upon Him, because He cares for us, 1Peter 5:7. Isaiah 41:10. He also tells us of a brighter future when our loved ones will awake from their restful sleep to enjoy life in paradise. John 11:11; John 6:40; Revelation 21:3, 4. Many are finding solace in this promise. I pray that you will also.